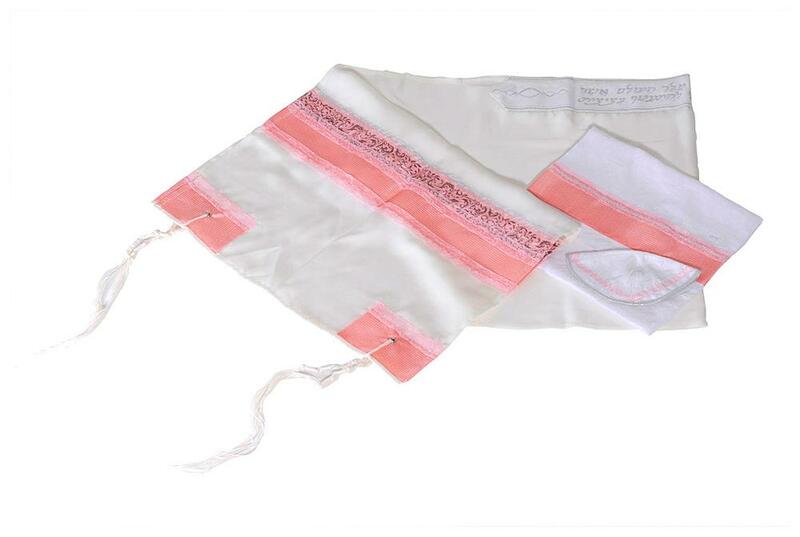 This hand made tallit set has been especially conceived by the Israeli skillful designers to be worn by young women as the vivid pink color recommends it. 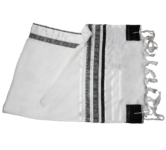 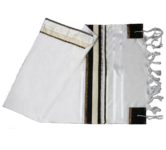 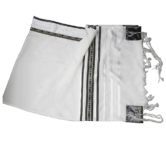 The Hebrew letters of the prayer are discretely displayed on a white ribbon as if the purpose was not to overwhelm the shawl with too many decorative elements. 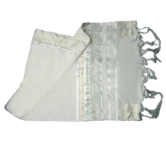 Indeed, the whole set strikes by its elegant simplicity. 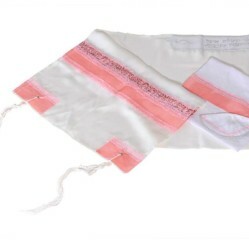 The plain stripe is much wider than the patterned one and the purple model stands out on a pink background.